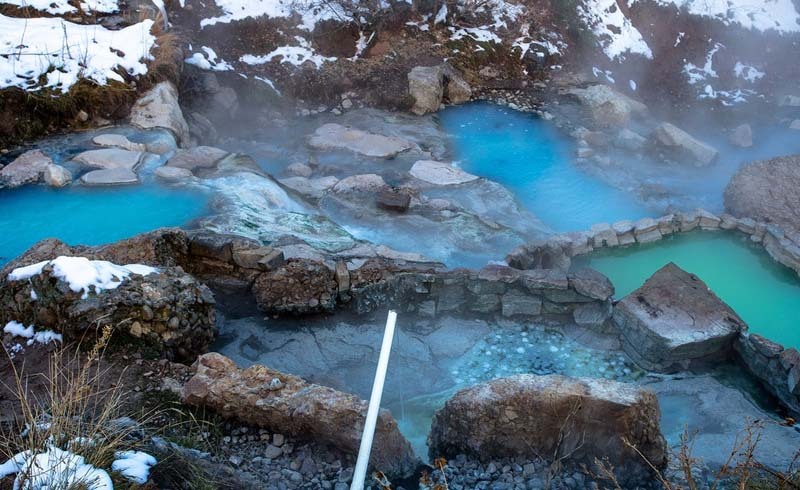 All around the world, hot springs are enjoyed for their mineral-rich waters (oh hello, Blue Lagoon) and therapeutic benefits. But there’s no need to travel overseas to reap the stress-busting and health-boosting rewards. 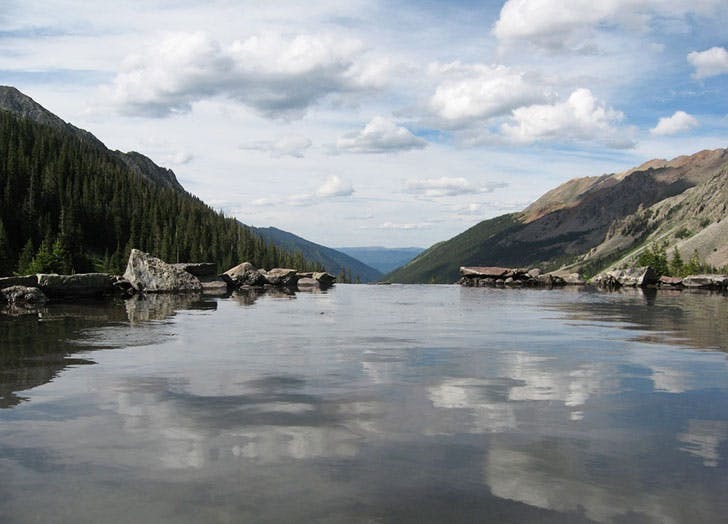 Here, seven of the best hot springs in the country. Grab your swimsuit (or leave it off) and dive in. This luxury resort boasts the world’s largest hot springs pool plus jaw-dropping views of the Rocky Mountains. The spa and fitness center aren’t too shabby either, but the nearby underground steam baths (in a cave!) are an absolute must-see. 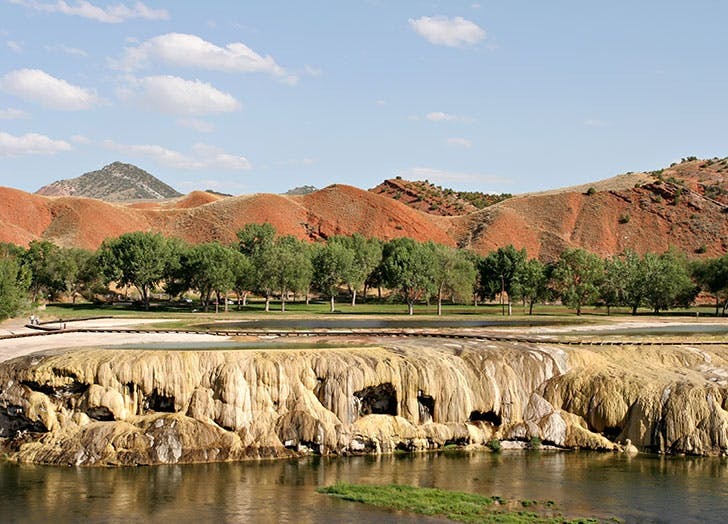 Greek for “hot city,” Thermopolis lies just a few hours from Yellowstone National Park and is known for its gorgeous hiking trails and turquoise-green springs (thank you, minerals). 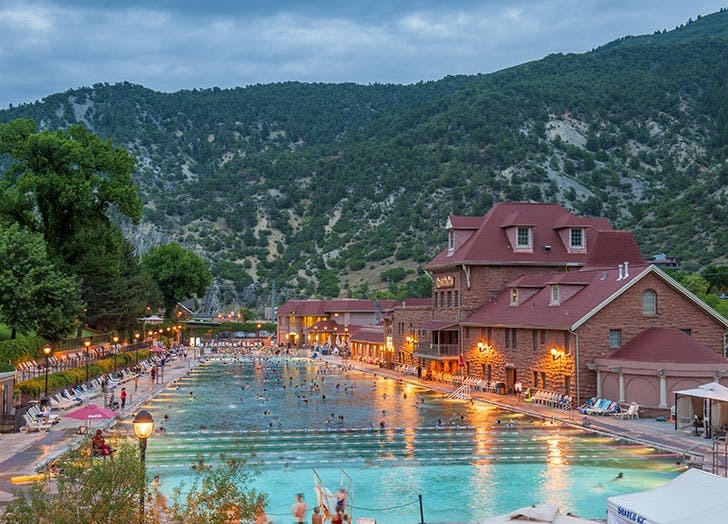 Proving that not all hot-springs vacations require maxing out your credit card, the 104°F therapeutic pool at the State Bath House is free to visit and so is the park itself. Just don’t be alarmed if roaming bison want to share the space with you. History buffs will love this beautiful resort that dates all the way back to 1766. 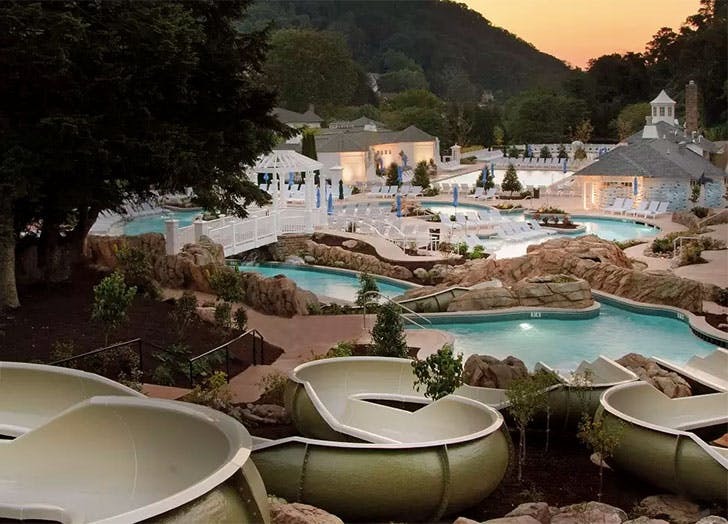 Natural springs from the Allegheny Mountains feed the two-acre water park that includes the Jefferson Pools, named after the Founding Father himself, who visited in 1818 and declared the water to be “of first merit” (high praise, indeed). But even those of us who fell asleep during U.S. History can get on board with the luxurious cabanas (featuring TVs, sofas and personalized attendants), sandy beach and serenity garden pool. Looking to just get away from it all? This remote retreat located two and a half hours outside of Portland has no cellphone reception or Wi-Fi. (Question: If there are no Instagram photos of your trip, did it actually happen?) 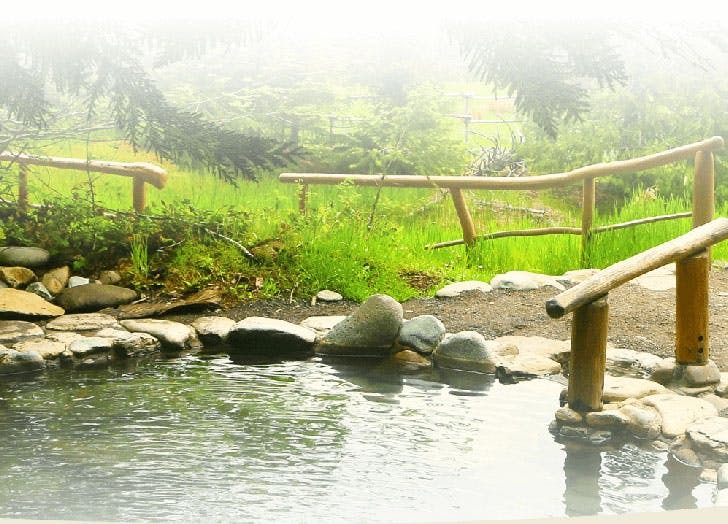 Start your day with a meditation workshop, then work up a sweat on one of the hiking trails before settling in for a relaxing soak in one of the clothing-optional natural hot springs. Ahhh, nirvana. 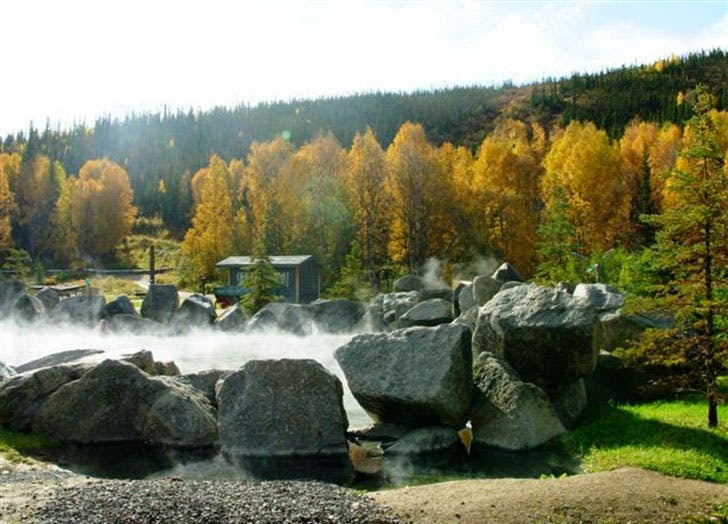 Time your visit right and you could be soaking in the hot waters of this geothermal oasis as the Aurora Borealis dances above you. But even if you miss the free light show, there’s plenty to keep you entertained including ice-sculpting classes, dogsled rides and massage treatments. Sign. Us. Up. 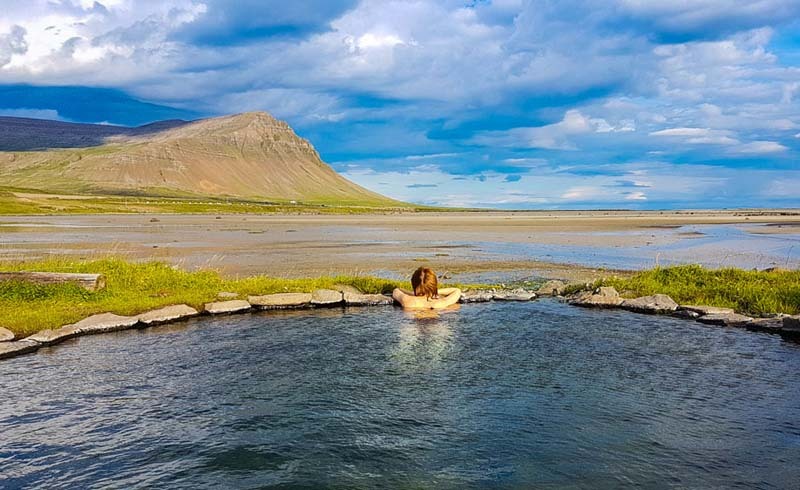 There’s nothing like a relaxing soak in a meadowed valley hot spring after an eight-mile hike, which is what you’ll need to do to get to this serene spot. The breathtaking views, friendly atmosphere (it’s got a reputation for being a hippie hangout) and absolute tranquility will make your muscle aches worth it, promise. An abundance of mineral deposits have turned the surrounding rocks in the area a spectacular rainbow of red, orange and green. Combined with views of the Sierra Nevada mountain range, it’s not hard to see why tourists and locals love this soothing sanctuary. 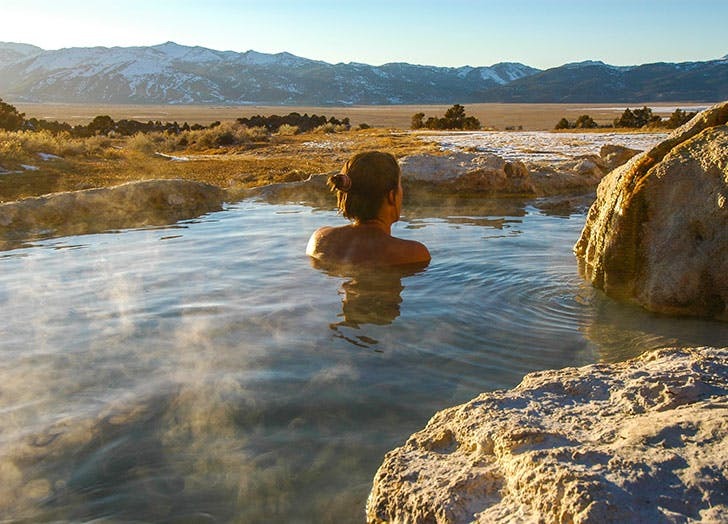 U.S. Daily News: 7 Dreamy Hot Springs Across the U.S.